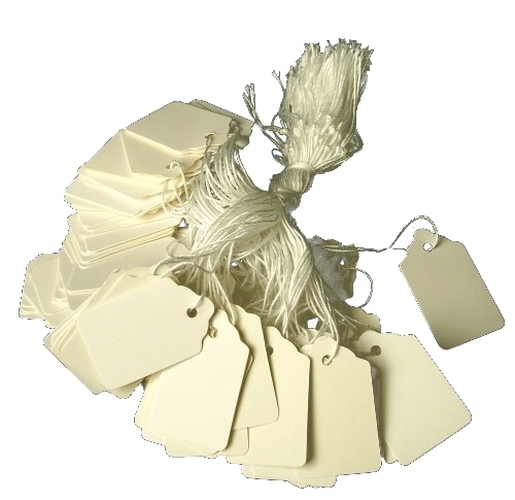 White Retail Tags with String Tie - MEDIUM These tags are perfect for the gift store, flea market, or any other pricing or identifying tag for selling product. They come in groups of 100 as shown, and price is per 100 tags. They come packaged 10/box if you wish to purchase a box. Measures 7/8" x 1 5/16".